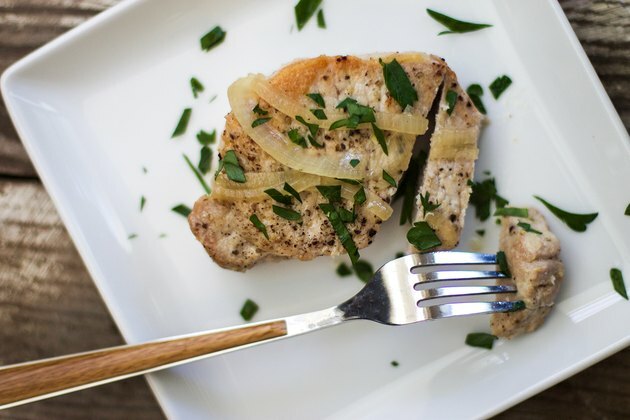 When it comes to making a good pork chop, getting a tender and juicy chop can be tricky. If you overcook a pork chop, in most cases you are left with a dry and tough piece of meat that isn't appealing to anyone. 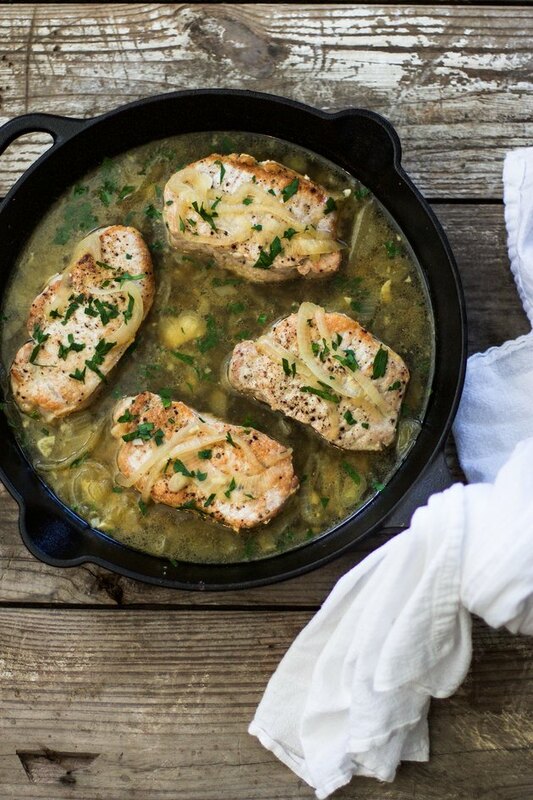 My recipe for braised pork chops is going to make you forget that tough pork chops even exist! Anytime I want to ensure I have a tender piece of meat that can be finicky to prepare, I love to braise it. That simply means searing the outside of the meat to lock in it's juices and then cook it in a little liquid, covered until the meat is cooked through. 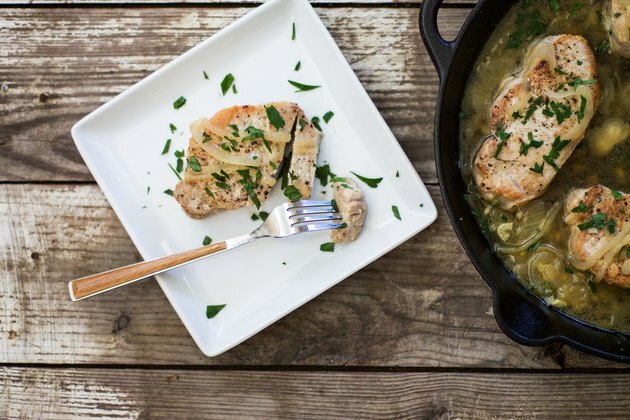 These braised pork chops are full of flavor and are so tender that they can even be cut with a butter knife! You'll definitely be adding this recipe to your weeknight favorites. Season both sides of the chops liberally with 1 tablespoon of salt and 1/2 teaspoon pepper. Heat a large skillet over medium high heat. 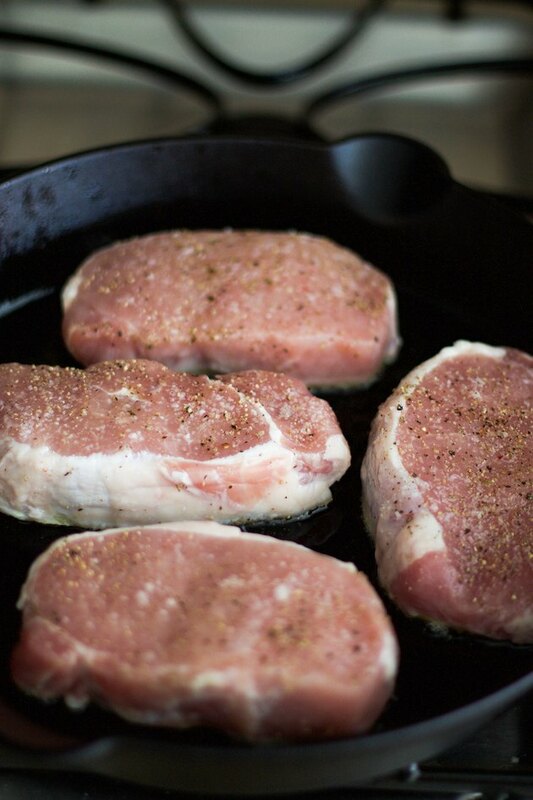 Add 1 tablespoon olive oil and when the oil is glimmering, add the pork chops to the skillet and sear on one side for 5 minutes until a nice caramelized crust has formed. Flip the chops and repeat on the second side. 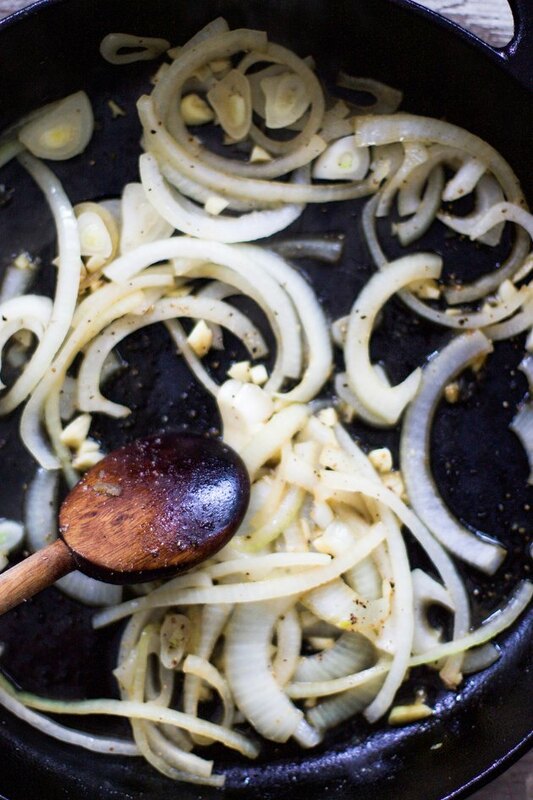 To ensure your skillet is hot enough, drop a tiny drop of water (carefully) into the oil and listen for the sizzle. If you hear a good sizzle, your pan is the right temperature! Remove the chops after they are seared on both sides. Add sliced onion and minced garlic to the pan and deglaze the pan by adding the 2 tablespoons of the chicken stock at this time. Scrape up any bits on the bottom of the pan with a wooden spoon and season with the onions and stock with remaining salt. After the onions have cooked slightly, add the remaining stock and let reduce about 3 minutes. Add the chops back to the pan and nestle in the onions and chicken broth. 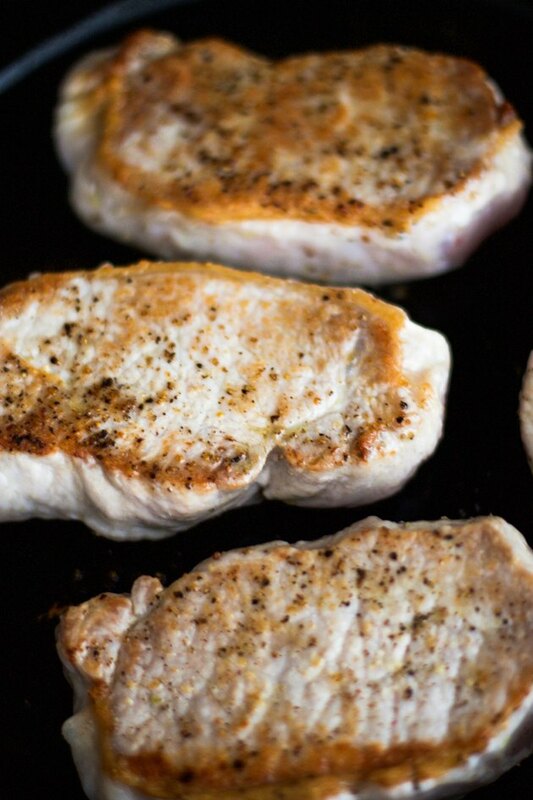 Cover the skillet and let the chops finish cooking for 20 minutes. Garnish the cooked chops with parsley and serve immediately. 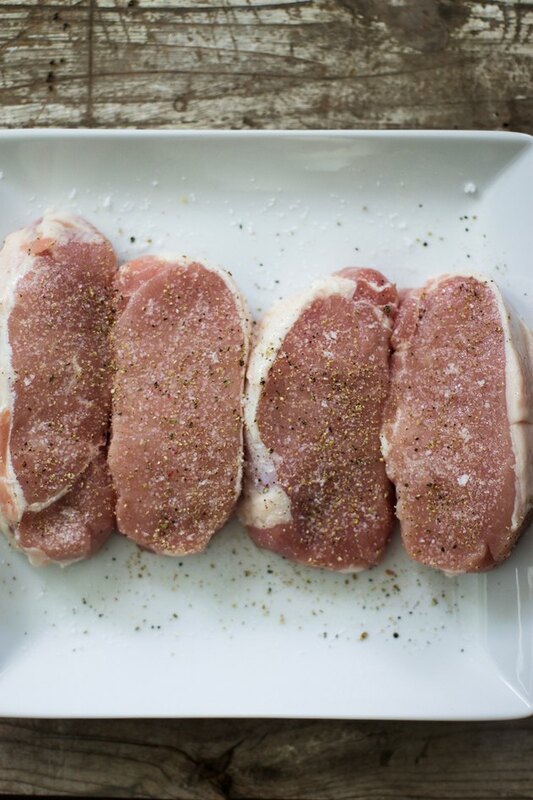 This recipe is quick and effective and will have you eating tender chops every single time!